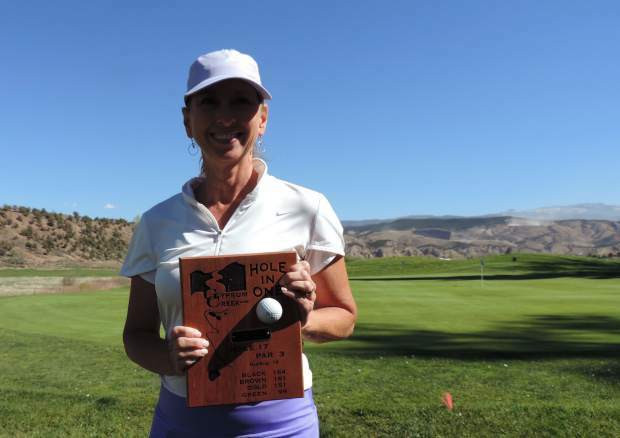 Charlene Trujillo aced the par-3 17th hole at Gypsum Creek on Friday. Her trusty 8-iron earned her bragging rights â and a big bar tab. Gypsum Creek Acers all get a complimentary custom plaque, too.